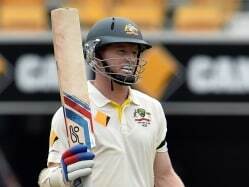 Battling with Cricket Australia on their stand between the young brigade and the 'old school' batsmen, Chris Rogers, a left-handed batsman born in 1977, in Sydney, has had to see everything before life has come full circle to him. Rogers started off his county career in England by playing for Derbyshire. Moving onto Leicestershire in the following season, he scored a double hundred against the touring Australian Ashes side much to the wrath of his countrymen but that didn't deflate his confidence. In spite of performing extremely well for Victoria in the Sheffield Shield and playing for 10 years with them, he was not offered the opening spot which he was highly aiming for, post the retirement of Justin Langer. Chris Rogers was finally handed over his Baggy Green as a replacement to the injured Matthew Hayden ahead of the Perth Test against India in 2007-2008 where he failed to impress. 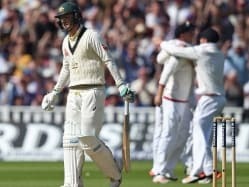 A double hundred against Surrey, playing for Middlesex, forced the Australian selectors to go one step back in their selection policies and include the veteran in the 2013 Ashes squad in England. 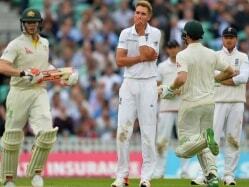 Even before the series had begun, he was guaranteed the opening slot along with Shane Watson by coach Darren Lehmann. After a gap of more than five years between his first Test and his second, Rogers shelved all doubts hovering over him by providing solid starts to the otherwise struggling Aussie side, also scoring his maiden Test ton in Chester-le-Street during the second wind his career deservingly received. He strengthened his position by scoring consistently in the Ashes Down Under later that year. That particular series actually showed his true character where he batted with plenty of freedom and complemented David Warner very well.